tour wagons, and so much more. 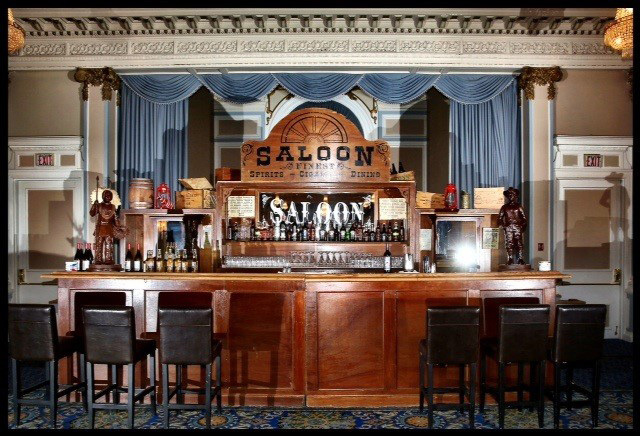 or we can add small accents to the room to set the mood of the Wild West! Our Stampede decor, for office buildings and hotels, has often won prizes in these categories. 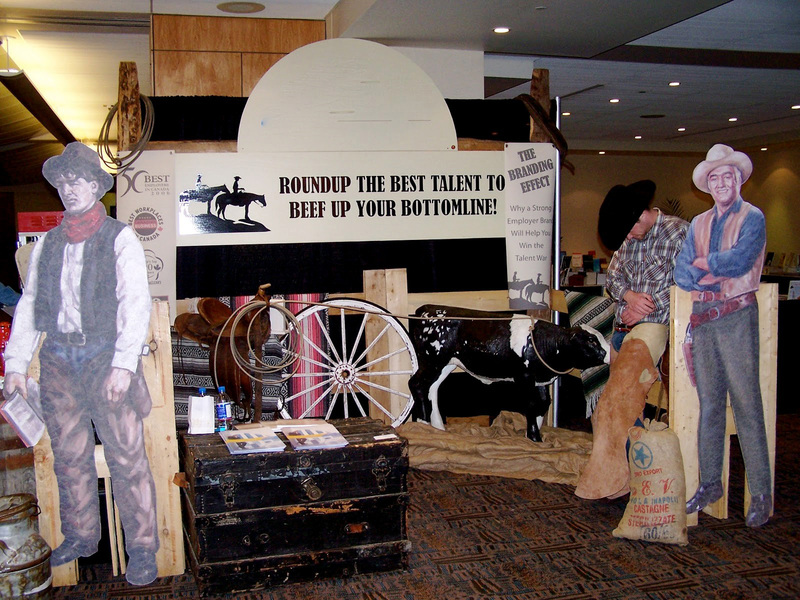 Our booth decor, for individual booths in Trade Shows, has also often won the 1st, 2nd & 3rd prizes in the same show! 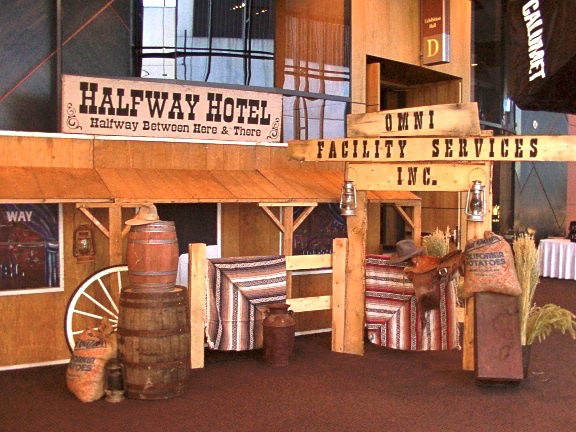 We also decorate the entrances and perimeters of Tradeshow floors. If we don’t have what you want, we’ll build it! 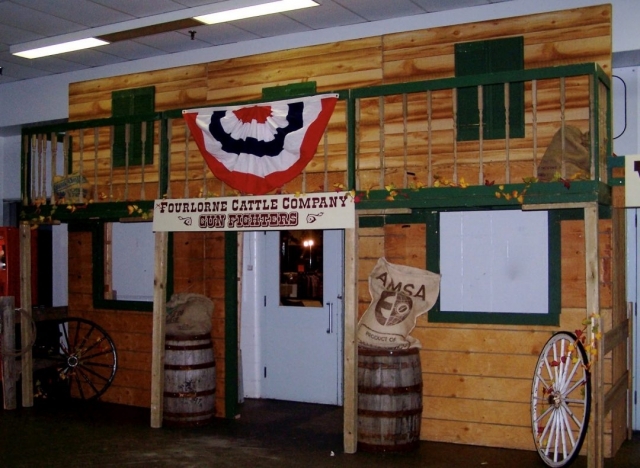 We have the largest collection of western antique decor items to accent any of your function’s requirements. E-mail us for our decor list or to discuss decor options for your event or tradeshow. 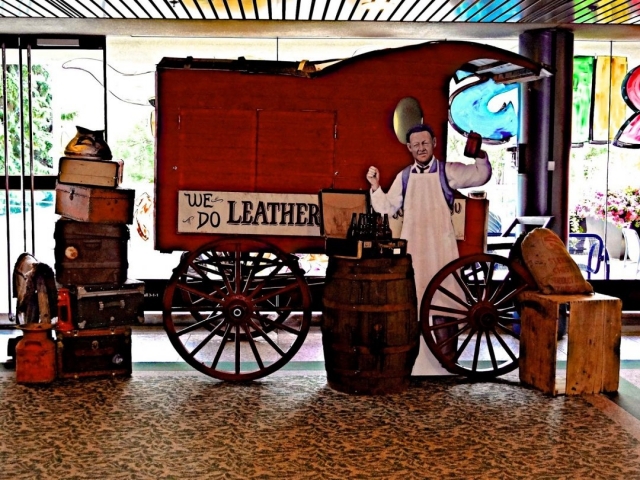 All of your Western Decor & Display needs in one call!